When recreational marijuana hits store shelves in Canada later this summer, it will be sold in “plain packaging” that contains only a standardized cannabis symbol and one of 14 health warning messages, according to an updated set of proposals released Monday. The recommendations were part of a Health Canada report summarizing feedback from 3,200 people on the nation’s regulatory approach to cannabis. The proposals, which are separate from the marijuana legalization bill currently before the Senate, also shed light on rules for new micro-cultivation and micro-processing licenses. Those licenses provide a lower barrier to entry than current regulations governing licensed producer applicants, which could open more business opportunities for entrepreneurs. Micro-cultivation permits would authorize a canopy area of no more than 200 square meters (2,153 square feet). A micro-processing permit would allow the processing of no more than 600 kilograms (1,322 pounds) of dried cannabis (or equivalent) per year, or the entire output of a single micro-cultivation license. Overall, the proposed rules were largely in line with industry expectations. “The proposed size of canopy for micro is pretty small, but it’s workable,” said Ian Dawkins, principal consultant of British Columbia-based Althing Consulting. The final regulations will not require Parliamentary approval. Instead, they will be enacted after the Cannabis Act wins final approval. The update also addressed security clearances, a cannabis tracking system, hemp and cosmetics with cannabis. 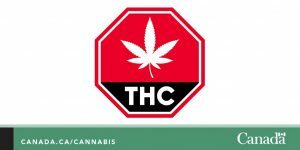 Health Canada said it does not intend to propose a transition period for recreational cannabis products, meaning they would be required to meet the new packaging and labeling requirements immediately. Regulations for outdoor cultivation, which currently is not permitted. How to enable the introduction of new plant genetics into the legal market to put it in a better competitive position with the black market. Restricting the number of micro-cultivation or micro-processing licenses at one site. I am a 76 year old female who likes to be a “pot tourist”. I’m just waiting for Canada to welcome me. Well let me be one of the first. As the proud owner of Okanagan Bud and Breakfast dot com I would be proud to see you over here in the okanangan. I’m just looking forward to the inevitable croptober over supply phase. There will be tens of thousands of outdoor growers proudly contributiing to this, be aware LPs. Tens of thousands? Really that many? 2000 sq feet for micro growers? What if its outdoor? Where can I get an application for a micro grow and a micro processing? You can’t, yet. This so-called “micro-cultivation” permitting process will not require Parliamentary approval. Instead, it might be enacted after the Cannabis Act wins final approval. But look for the big CDN MJ LPs to try to out-lobby such amendments before they come into force. When and how do i apply for micro cultivation license?